507 Hillcrest Road Niles, MI. | MLS# 17017045 | Waterfront, Residential and Vacant Land Properties for Sale in Cass County, including Cassopolis, Edwardsburg, Union, Dowagiac, Marcellus and More! Niles west side bungalow at the end of a quiet city street. Bright eat-in kitchen with lots of counter space, hardwood floors and full MI basement. 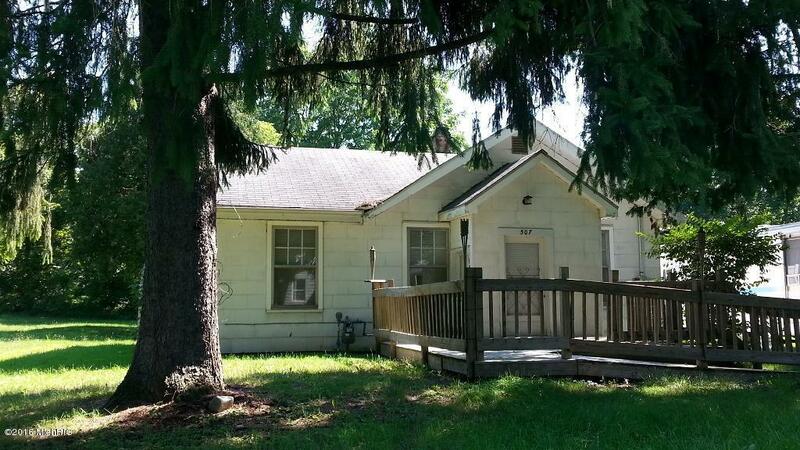 Second bedroom possible, handicap-accessible front porch ramp and storage sheds. The very large 1.86 acre lot is wooded and open and offers Many options. Square footage and lot size estimated; buyer to verify. Being sold AS IS.